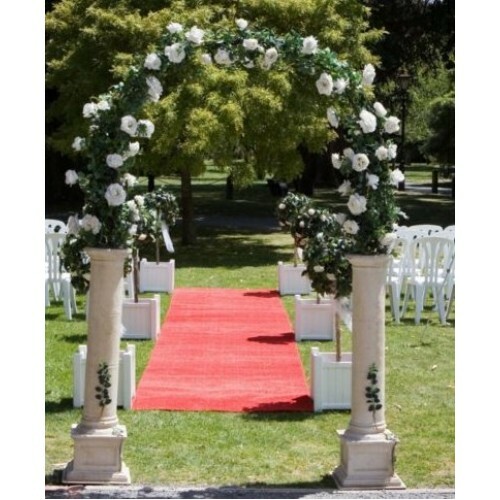 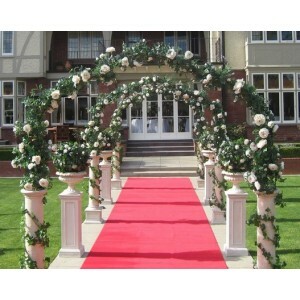 Stunning floral wedding arch with sandstone pillars (note the pillars themselves not include ivy). This wedding arch is a massive 2.4m wide x 2.75m tall giving you more space when walking down the aisle. 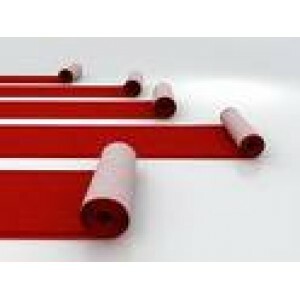 Can be hired with our 1.9m x 8.4m red carpet as per photo. 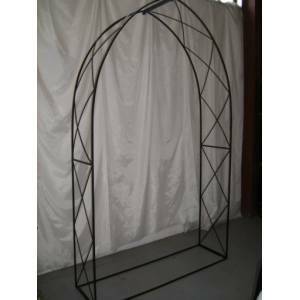 Note, this item is very fragile and must be transported inside a covered vehicle eg van or furniture trailer.